Photography is currently the go-to asset in the travel industry’s marketing tool kit, but some companies are sketching a fresh approach that is less reliant on professional photography and instead draws on something everyone can do. Hella de Jong is a student at Tilburg University in The Netherlands who has studied International Tourism Management and Consultancy. For a course titled Visual Thinking and Composition Hella “translated” an article published by Professor Greg Richards, The new global nomads: Youth travel in a globalizing world, which draws on data from WYSE Travel Confederation’s New Horizons III survey. As part of the course students learn basic drawing and visual communication skills and a final project requires students to translate a scientific paper into a short comic, making scientific content more accessible to a wider audience. The course in visual communication is taught by Neil Cohn, PhD. The dawn of a new day for drawing? In the age of digital communication and video advertising, it is easy to forget the art of drawing. However, some companies are turning to illustration and animation as a unique visual technique against the ubiquitous backdrop of stock photo and video marketing. Brands like Etsy, WeTransfer, and Mailchimp are utilising illustration to communicate online. Rude Health and Tony’s Chocolonely are food brands with bold packaging that feature graphic illustration. In travel, Airbnb has utilised illustration to some degree and the slightly lesser known Culture Trip is making a concerted effort to develop illustration-led content. Recent Culture Trip articles used illustrations to highlight destinations that feature in the fantasy TV series Game of Thrones and seven women changing the world for good in 2019. Should you utilise more illustration in your communications and marketing? Neil Cohn believes companies can take advantage of visual communication given the basic capacity for drawing that people have. Abby Holland of What Marketing, a creative agency in Manchester, UK specialising in video production and animation for advertising, believes illustration has the potential to set brands apart in their marketing approach. Where high-quality photography has become the asset of choice of the travel industry over the last several decades, are travel companies well positioned to use illustration or is it a step backward with risks? A nod to vintage destination posters of the past isn’t necessarily a bad thing, as illustrated by the work of 22-year old George Townley. Animated illustration is even replacing the traditional paper post card with the AR-powered Kineticard. 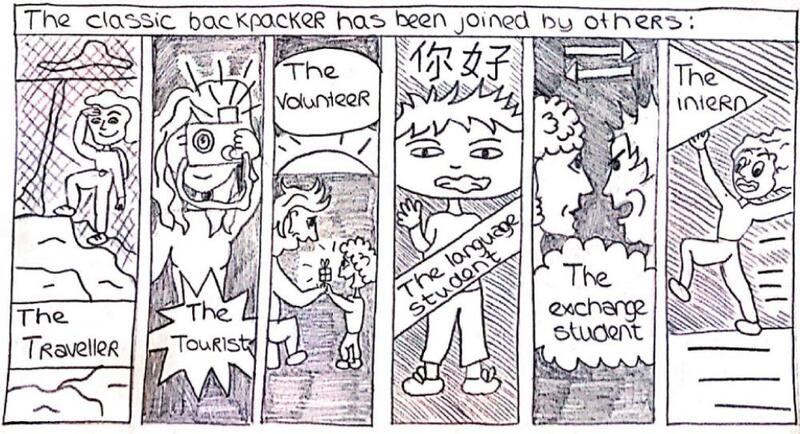 Special thanks to Hella de Jong for sharing her graphic translation of The new global nomads: Youth travel in a globalizing world, which draws on data from WYSE Travel Confederation’s New Horizons III survey. Hella’s full translation is available here.